Assam Polytechnic 2019 Admit Card will be released on 2nd May 2019. Assam Polytechnic is a state level entrance exam which is organized once in a year. This exam is a gateway to get admission in the universities and institutions of the state of Assam. It is administered by the Directorate of Technical Education, Assam. The exam is conducted for candidates those want to get admission in various Diploma programmes in Assam. This article contains the detailed information about Assam Polytechnic (PAT) Admit card 2019. Assam Polytechnic (PAT) 2019 Admit Card is releasing on 2nd May 2019. Link will be given here. 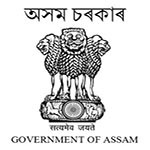 Assam Polytechnic Admit Card 2019 is issued by the Directorate of Technical Education (DTE). Candidates can check their admit card through online mode only. The downloading of admit card will be started from 2nd May 2019. Assam Polytechnic admit card 2019 can be downloaded by entering application number and DOB. It is instructed to the candidates that preserve it till the admission process, as it will be asked at the time of counselling. If candidate will find any discrepancy, in that case contact to the Assam PAT officials. Without admit card candidates will not be allowed to enter in the examination hall. The written exam will be held on 19th May 2019 and the result will be published in the first week of June 2019. Assam Polytechnic 2020 examination will be organized by the Directorate of Technical Education, Assam. It is a state level examination of Assam state. It is conducted to offer admission into various diploma courses of engineering & non-engineering courses. Assam PAT 2020 application form will be released from the third week of March 2020. A candidate login window will be appeared on your system screen. Fill your application number and date of birth in login tab. Admit card will be generated in pdf format. Download your admit card and take the printout of it and keep is safe till admission process. Candidates have to bring one photograph as pasted on a confirmation slip along with one photo Id proof. Candidates are advised to take extra printouts of the downloaded admit card. One copy has to be carried in the examination on the day of exam and another has to be preserved for future process. Candidates can also change the printed information on the admit card by contacting the officials. It can be only done before the last date of downloading of admit card. The exam centres is allotted to candidates as per their choice filled at the time of application form. Exam centre can not be changed in any case. Silchar Polytechnic (Silchar), Bakasa Polytechnic (Belguri Pathar), Barpeta Polytechnic (Barpeta), Assam Textile Institute (Guwahat), Sonitpur Polytechnic (Dhekiajuli), Assam Engineering Institute (Guwahati), Dibrugarh Polytechnic (Dibrugarh), Nowgong Polytechnic (Nagaon), NRH the Prince of Wales Institute (Jorha). If you have any query related to the Assam Polytechnic (PAT) 2019 Admit Card, you may ask us by leaving your queries in the given below comment box. Dear sir, I am forgot my Application number, so I can’t login my PAT entrance exam portal and I can’t download my Admit card. Please suggest, what should I do. Please Give me one side. There is only a two days left for Pat 2018 Assam entrance exam. But, i didnt get any solution for my brother’s lost pat 2018 application number. Now, here is the question, will he be able to give exam. What about the fees submitted? Will t be refunded? Admit card link is given in our article, you can get it from there. Sir, My application no 180114894 and DOB 16-11-1999 SBCollect Reference NumberDU88360755 sir, why I could not download my PAT addmitcard please help me. Sir Ihave forget my application ID. I have done all the formalities that is being required in the PAT application form and i have also done my payment through state bank online as i have the reciept. But though i was unable to login in order to get my admit card.So i kindly request you to look after the issue and please inform me. After logging my application no. It doesn’t saw my admit card. I forgot the Assam Pat application number. Kindly please help to re-acquire it. I have submitted the form for my daughter but I have not received the email for admit card. The link is given in our article, you can download from there. I can not download admit yet.please help. I not able to get my admit card plz sir/madam I request you to help me to get my admit card.I will be thankful to you. Today is 11 may why till now admit cards of PAT are not available..
Sir my application no. Is 180106071. I am not able to download my admit. As it shows payment is pending but the money is already debited from my account on 1st may. can i know when admit cards will available?? It is given in our article. So the admits are not released yet right ?cause its 10’th may and i tried to log in to my application number and download page is not showing up. RESPECTED SIR,I HAVE LOST MY APPLICATION NUMBER AND I FULLY TRIED BUT I DO NOT GET ANY CLUE ABOUT THIS.SO I KINDLY REQUSTED TO YOU TO HELP ME FROM ANY WHERE OF OFFICIAL WEBSITE TO LOOK FOR MY APPLICATION NUMBER. In the application software, there is no provision for correction of applications. I do not remember assam PAT.Application no. Please help me.